I keep reading, which means I’m still studying the marketing websites about crowdfunding (thank you, Iza!). I read about projects that have been financed, I keep wrtiting and noting different ideas that keep coming to my mind and I keep wondering whether this is the right direction or not. 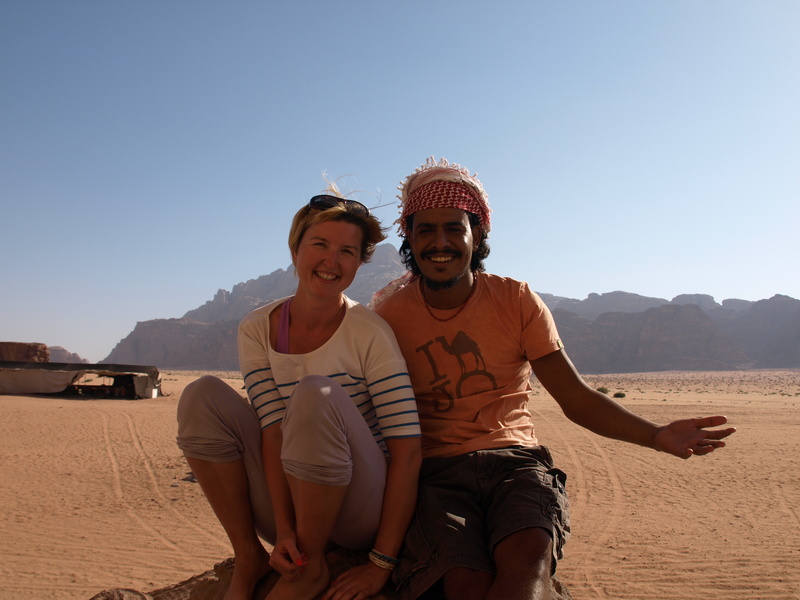 It turned out that Ahmad – the Bedouin guy hosting me in his camp in Wadi Rum, met on his way Angela (the Godmother of the project I have already mentioned!). 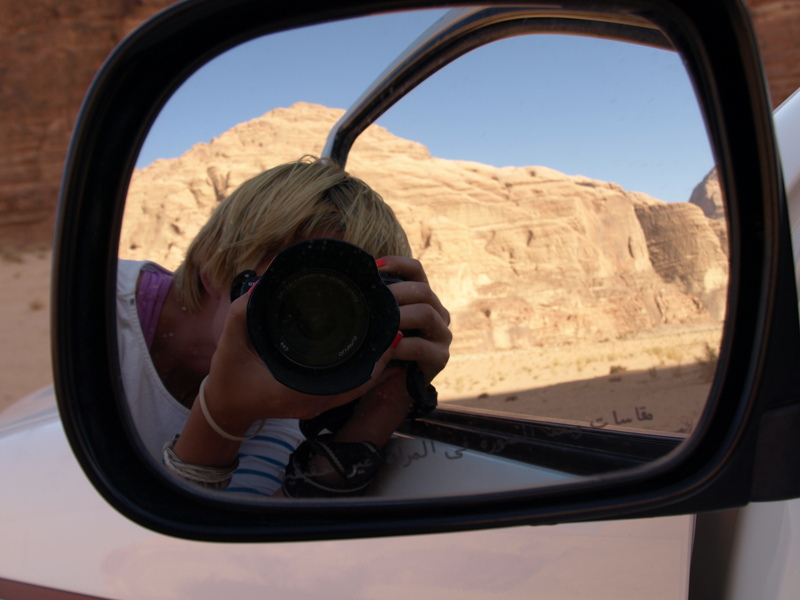 I mean not literally met – he actually SAW her on the road, when she was cycling from Aqaba to Wadi Rum. It’s a funny coincidence – we keep meeting the same people on our ways and those people stay in our memories, becasue they are so special and so unique. Secondly, Ahmad told me that he has been visited by two cyclists so far in his camp. And what is more – one of his life dreams is the bike travel! And he was the one who told me today: “you have to do it!”. It’s sooo interesting that such things happen to me here, in the middle of the desert, in the middle of – literally – nothing. Ahmad has told me also the stories of those two cyclists – a Russian one and a Chinese one. They both came here from their home countries. But the Chinese guy has almost convinced Ahmad to join him to continue his (their?) trip to Cape Town, South Africa. And then to continue from there to South America with a boat. That would be something! And such stories really inspire my imagination, make all my senses soo ready that I want to start a new trip already now, even tomorrow! Today! But not yet there. I need to learn about bike travelling first, which is why I still keep my European plan on board, although again supported and encouraged in this idea. Becasue there is nothing more encouraging than a person that believes in you and tells you that you have to do it and that it’s worth an effort. Thank you, Ahmad! 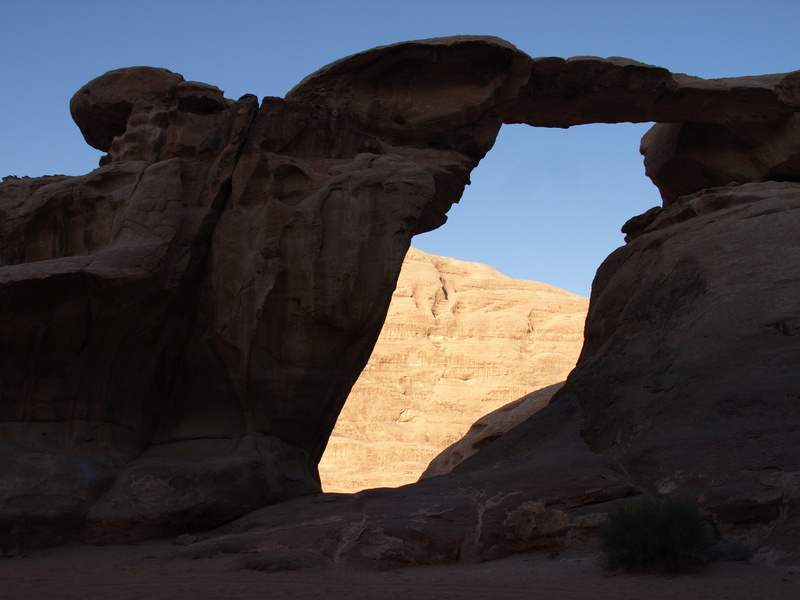 Not only for our bike talks but also for making Wadi Rum my next (after Mizpe Ramon and Odem, both in Israel) heaven on Earth.